In a city somehow (suspiciously) full of Australian cafes, Shoo Shoo is a welcome breath of fresh air. 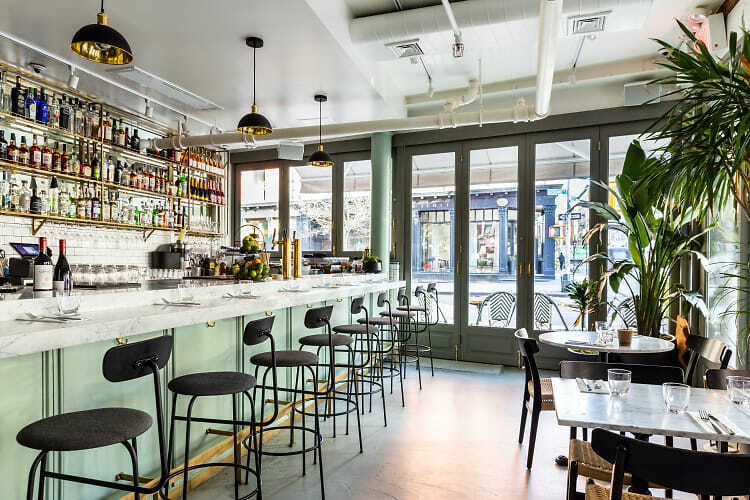 Contemporary Mediterranean cuisine with a flavorful Israeli taste, the new hot spot has colored its own little corner of Nolita with Tel Aviv's distinct bohemian flair. Hebrew for 'secret,' the restaurant's name has become more of a wish than a prophecy, as buzz of their amazing weekend brunch and beyond ideal al fresco seating situation has people lining up. 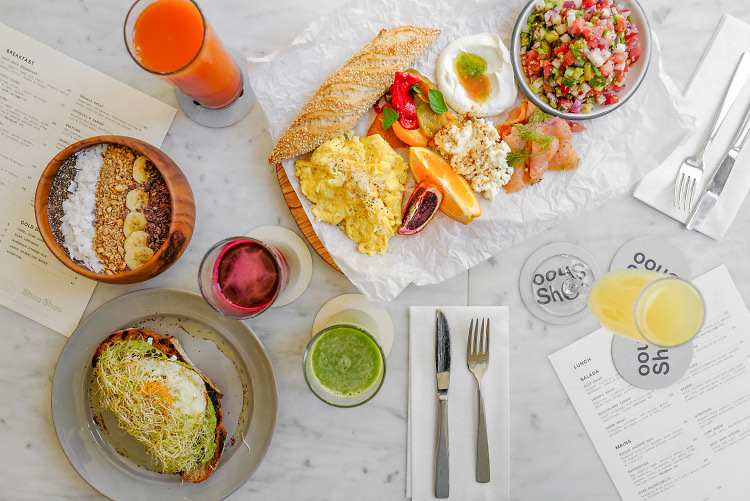 Thankfully, Shoo Shoo's doors are now open for breakfast and lunch. And trust us, you'll be taking all your morning and afternoon meetings here - where the light-filled space and bright, comfortable design make even the most annoying work discussion seem hopeful. And that's not to mention the food. There's the obligatory Avocado Toast (after all, we're still in New York) with lentil sprouts, sumac & feta, the Deep Purple Smoothie Bowl, which will sweeten up your morning tenfold, and for lunch such must-orders as the Cauliflower Caesar, Schnitzel and Fish Mademoiselle. No matter what dishes you choose, don't dream of leaving without ordering the Moroccan Tea, which actually isn't tea at all, but steeped mint leaves, rose water, and honey that somehow alchemically transforms into liquid heaven you'll have to taste to understand. Click through for a look at the 'secret' spot and the dishes that will have you becoming a regular.